The Centers for Medicaid and Medicare Systems (CMS) announced a new alternative payment model titled "Bundled Payments for Care Improvement Advanced" (BPCI Advanced) earlier this year. This adjustment is scheduled to go into effect on October 1, 2018. The BPCI model is intended to reduce Medicare and Medicaid while continuing to increase the quality of care given to the patients. The main accomplishment that the CMS is hoping to achieve is to implement an affordable healthcare system while keeping the patient's needs in the forefront. This incentives health care providers to execute better services for the individual seeking care. Bundled payments allow the healthcare providers categorize of all the care for a specific procedure or procedures into a single payment plan. 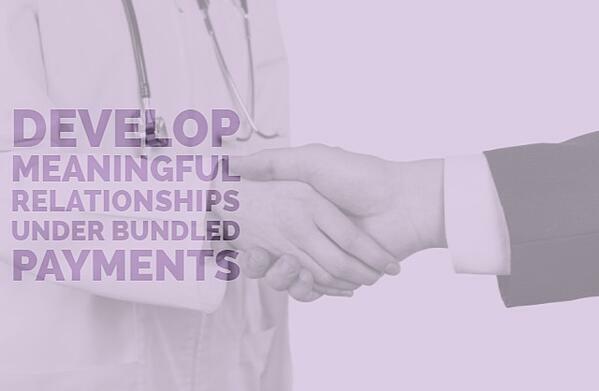 The intention is that the centers will take initiative to better coordinate with the suppliers and in turn deliver better care to the patients, which goes hand in hand with Creating a Person Centered Culture in long Term Care. Three main benefits of the program. The patients will, in most cases, see a reduction in procedures, transition time and supplies needed, because they will have a specialized team of providers focusing on their care processes. The payment will be a pre-determined price, giving the beneficiary of care the exact amount they will be expected to pay before entering an episode of care. The benefit on the provider's side is knowing the exact amount they will be compensated for the patient care. While skilled nursing facilities (SNF) are unable to participate directly in the new program, they can still align themselves to gain market share by quantifying and succinctly communicating their competitive advantages. Is your facility ready to implement the change? Now is the time to learn more about the BPCI Advanced!